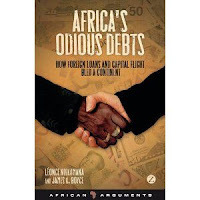 Join us to celebrate the release of Africa’s Odious Debts with authors James Boyce and Leonce Ndikumana. In the book Boyce and Ndikumana reveal the intimate links between foreign loans and capital flight and argue that, contrary to the popular perception of Africa being a drain on the financial resources of the West, the continent is actually a net creditor to the rest of the world. The extent of capital flight from sub-Saharan Africa is remarkable: more than $700 billion in the past four decades. But Africa’s foreign assets remain private and hidden, while its foreign debts are public, owed by the people of Africa through their governments. Controversially, the authors propose that African governments should repudiate these ‘odious debts’ from which their people derived no benefit, and that the international community should assist in this effort.